By, J.C. van der Spek Greenhouse Services. 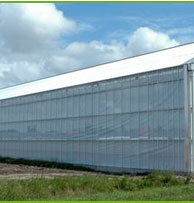 Roll-up curtain systems are used on the greenhouse wall, roof, and to divide sections. The roll curtain system on walls can fulfill several functions, such as a heat-resistant, energy-saving, blackout, or to limit light emission. 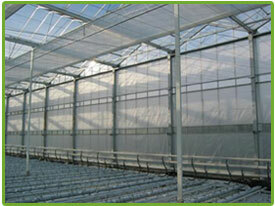 A roll curtain system, in combination with a horizontal curtain system, can result in improved consistent temperature in the greenhouse. The roll-up curtain system is driven by tubular motors. The compact installation sizes of the tubular motor make it is particularly suitable for mounting in the roller tube. 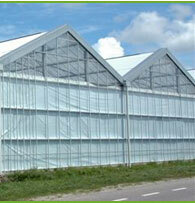 The required installation space in the greenhouse remains limited as a result. J.C. van der Spek Greenhouse Services supplies two types of tubular motors varying in diameter, capacity and RPM, and can be mounted quickly. There are two types of roll-up curtain systems: A single Roll-up being used to roll small sections and/or a big section with a bigger tube motor, and a Twin Roll-up being used in bigger sections such as a dividing walls. 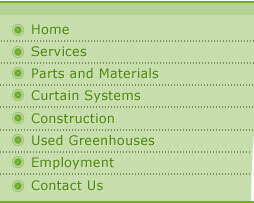 J.C. van der Spek Greenhouse Services supplies complete roll curtain systems, including roll tube guides, purlin and guide brackets. Roll curtain installations are available with different varieties of cloth for heat, shade, or blackout.